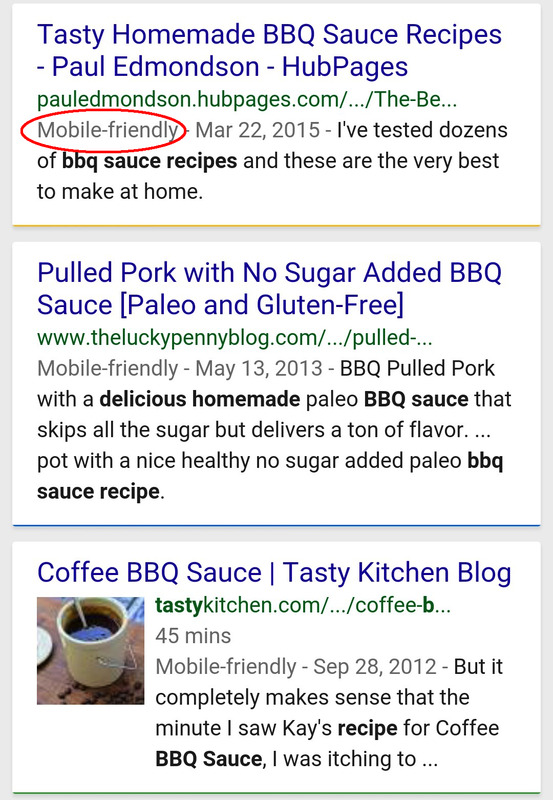 Toward the end of February, Google announced that they plan to place increasing importance on a site’s mobile-friendliness in search results for mobile devices starting April 21st. This is great news for HubPages because Hubs are already optimized for mobile. Mobile traffic is currently on the rise and with the release of this algorithm, we expect to see it increase even more dramatically. As you can see from this month’s data, mobile traffic to Hubs already exceeds desktop traffic. With the release of the new mobile algorithm, we expect mobile traffic to comprise at least 60% of our total traffic (and possibly as much as 70%) by the end of 2015. A high percentage of the people reading your Hubs will be doing so on smartphones. It is more important than ever to double check the layout of your Hubs to make sure they look good on mobile. We recommend making all capsules full-width wherever possible because while all capsules are automatically displayed full-width on mobile, the capsules may not display in the order you intended. Making them full-width means your capsules will always display exactly the way you want them to and offer a consistent experience for mobile and desktop users. We understand that there may be reasons why you are unable to make all capsules full-width. For example, if your Hub includes photos that become blurry or pixelated when expanded to full-width size, it’s better to leave them half-width until you can replace them with better quality photos. However, it’s important that you check the Mobile Preview option for each Hub that contains half-width capsules to make sure the capsules will appear in the right order on smartphones. This preview shows your Hub exactly as it will look to users on smartphones. Take a quick look at the entire Hub to be sure half-width capsules appear in the correct order. If they do not, you may have to tweak your Hub’s layout to ensure that all the capsules display correctly on mobile. I know this is potentially a lot of work for Hubbers with tens and hundreds of Hubs, but more and more people are using search engines from their mobile devices, and it’s critical that we as online writers prepare our content for the search traffic of the future. Pinterest aficionado Glimmer Twin Fan has shared some helpful tips that I’m very pleased to pass along to you. I mentioned some of her advice in the recent Weekly Newsletter, and I’d like to elaborate on it some more here in the Blog. Regularly updating and improving Hubs is such an important ingredient for continued success here on HubPages that I hope you’ll take a fresh glance at your Hubs with an eye toward applying some of Glimmer’s advice. Focus on your Hub’s header image. While any of your Hub’s photos might be Pinned, the first one is the one that’s Pinned most frequently. Make it fantastic. Take food photos with lots of natural light. Take your food photos outside if possible. If not, photograph the finished dish in whatever room in your home receives the most natural sunlight. 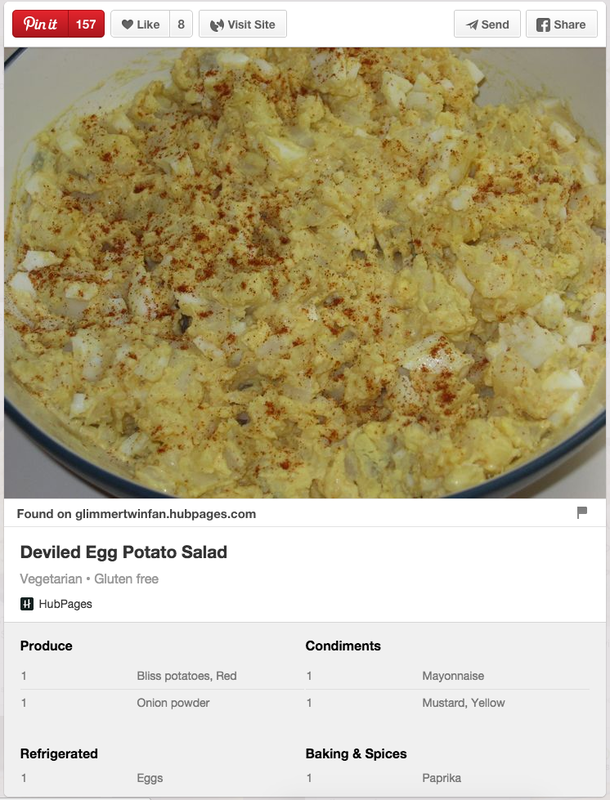 Add short descriptive text (like the name of the recipe) where possible. But if you can’t add text without covering the good parts of the photo, don’t fret. Great photos of food speak for themselves. Put a little effort into the background. It’s ok to get creative here. Some good ideas include dishes and tableware that compliment the colors of the food, solid color backgrounds can keep the focus on the food, and adding a lighted candle, a flower, or other small embellishment can make the photo look more attractive. Take a lot of photos. Try different angles, closeups, farther away photos, etc. This will ensure that you have a wide variety of images to choose from. Keep the best and delete the rest. Keep in mind that there are a number of different ways your readers can Pin your Hubs and the images in them. Using the Pinterest option from the official HubPages social buttons on the right of the Hub will automatically Pin your Hub’s first photo plus the text from your Hub’s title. 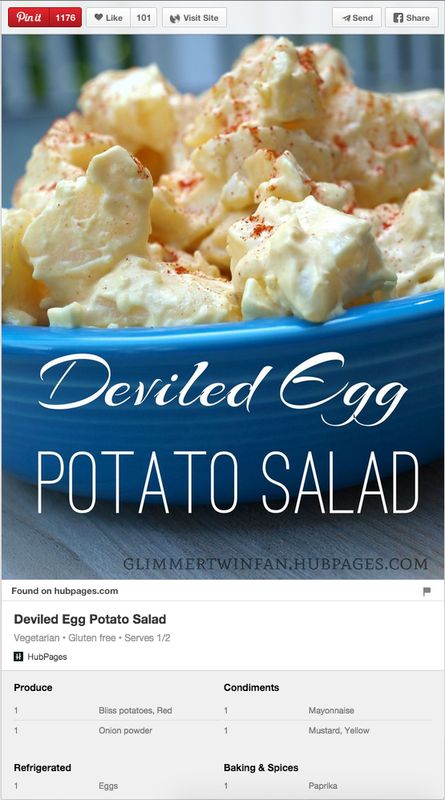 Using the hover-over button that appears on any image in your Hub will Pin that particular image along with the text from the description field. If your readers use the Pinterest browser extension, they will have an option to choose between all the photos in your Hub to Pin, and whichever photo they select will include its descriptive text. Most readers use the HubPages Pinterest button (which is why your header image is the most important), but some readers will want to pin other images within your Hub as well, which is why it’s so important to give each photo a great description. Remember that it’s not just recipes that can benefit from a Pinterest revamp. Craft Hubs, DIY Hubs, gardening Hubs, and lots of other types of Hubs stand to gain from a little bit of Pinterest improvement.I hope you found some of these tips helpful!